“Our kids will spend the rest of their lives in the future. Blog co-written by John Horstead, Don Chila, and Antonio Vendramin. 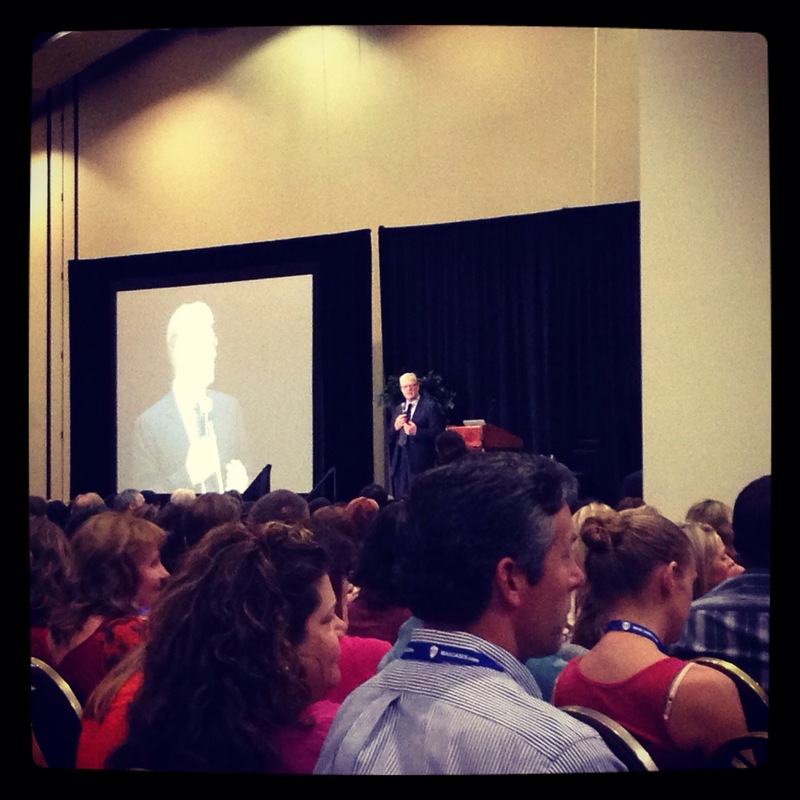 Attending the CUE conference this year was a valuable experience in many ways, beginning with Sir Ken Robinson’s keynote “Out of our Minds: Learning to be Creative”. Together with close to 4000 educators, we applauded, laughed, and were inspired by his blend of personal experience and transformative thinking. One of his quotes particularly resonated with us: “Human talents are very much like natural resources in the ground…and they don’t always manifest themselves without the right conditions.” Throughout the rest of the sessions we kept coming back to the question of whether schools are providing the necessary conditions for authentic learning and creativity to flourish. As we traveled from session to session, many thoughts and questions crept into our consciousness. How do we separate the NOISE from what is truly important? These are the questions, factors, opportunities, roadblocks, challenges that educational leaders grapple with as we work with staff to move students forward in a time of change that is unprecedented in its accelerated pace. 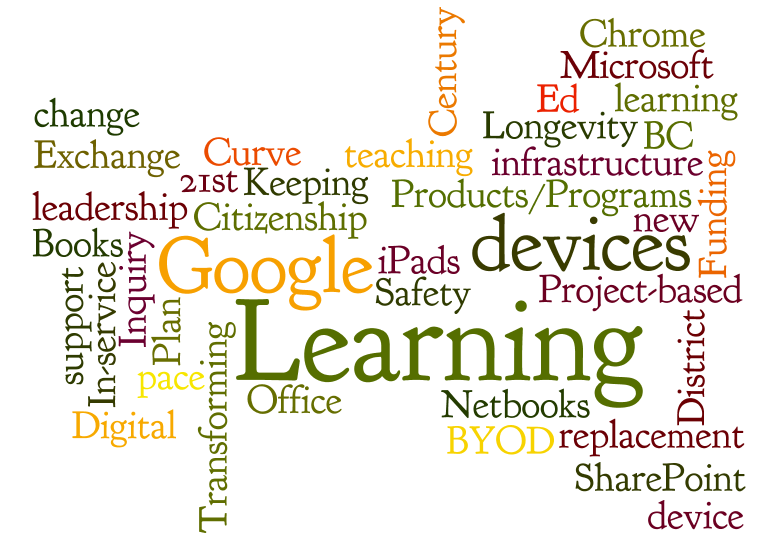 What implications does a ‘Bring your own device’ (BYOD) policy have for a school in terms of bandwidth, equity, privacy, acceptable use, and impact on student learning? It’s interesting to note here that it was very evident at a premier conference like CUE, the bandwidth was not sufficient to support the number of learners present. Beyond this, are the adults in our schools, as a team, committed to safely and effectively guiding learners in information and technology-rich environments? What practices do we see evident in the classrooms at our schools and are these practices innovative and transformative? Are teachers and students actually doing work that matters to them, and are we simply calling practice “innovative” because technology is involved? We must keep pace with the revolution. Analysis-paralysis has been a limiting factor for too long. Ignorance on fire is better than knowledge on ice. Modeling best practice and innovation, supporting and encouraging risk-taking, and being lead learners will be a good place to start. Learners, and the world they live in, are changing and so must we. Relationships, together with high quality, personalized instruction will always be at the heart of optimal learning. The challenge now is leveraging technology to make learning personally relevant to students. 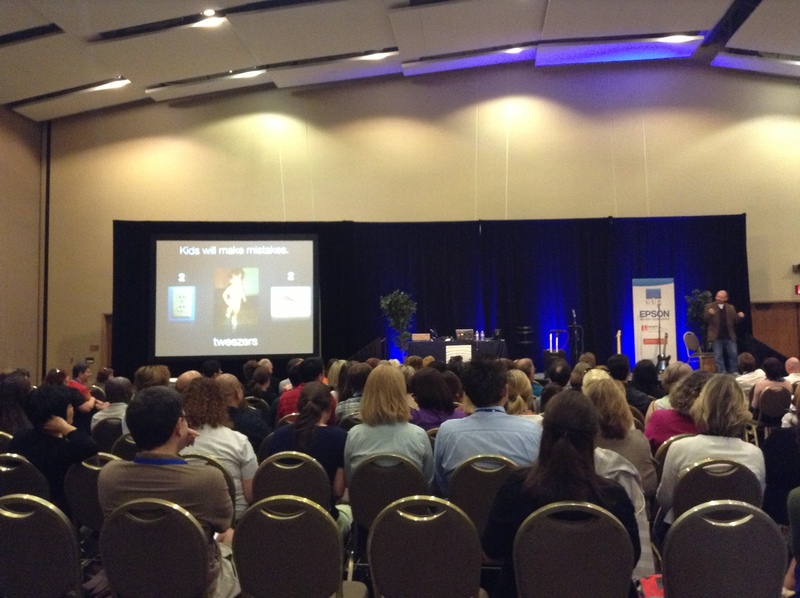 Like Sir Ken Robinson’s opening, Kevin Honeycutt’s closing keynote was both stirring and inspirational. He cut to our true purpose and that is the job of forming meaningful relationships with those at the centre of all we do – students!